The ABC/LWV, partnering with Northland College's Center for Rural Communities and WITC, welcomed Sarah McKinley from the Democracy Collaborative in Washington D.C. for her presentation on June 22. McKinley spoke about "Innovative Ideas for Our Local Economy" and shared real world examples of successful and innovative community development from around the country. McKinley works as the manager of community development programs for the DC based organization. She is the co-author with Marjorie Kelly of a report titled Community Wealth Building about how grassroots activism is forging a new economic agenda in local communities around the country - new business ownership models, utilizing anchor institution purchasing to deepen buying local, stimulating local investment funds, renewable energy initiatives. McKinley's talk was followed by a response panel made up of experts from our local business and economic development community. 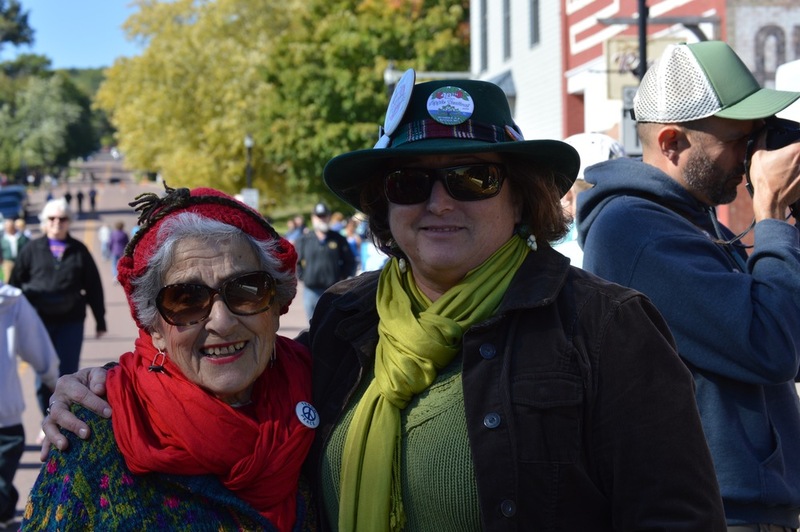 This talk is the second in a two-part series on community economic development. 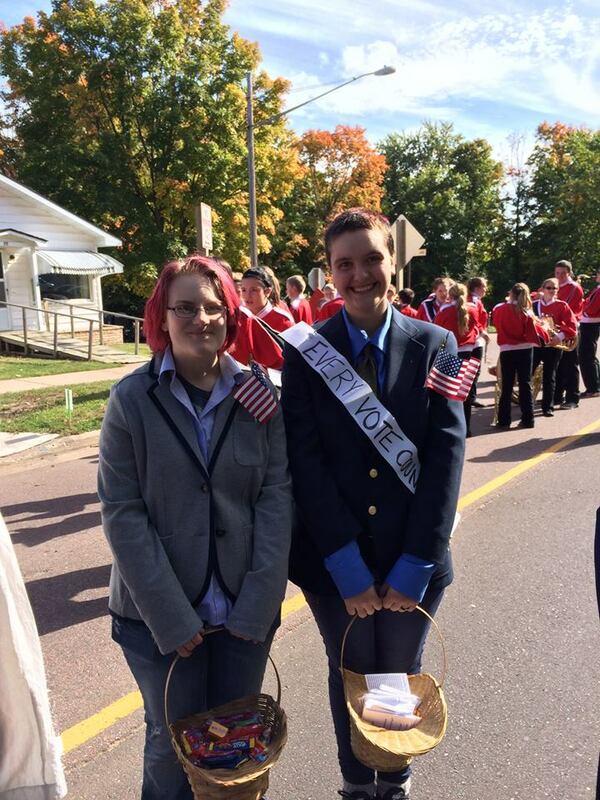 The event was funded by a grant from the Wirtanen Family Fund of the Duluth Superior Area Community Foundation. Couldn't make it? View the video of the presentation and the Q&A session below. Visit our Current Local Study page to learn more about the work we're doing. In partnership with Northland College's Center for Rural Communities and WITC, the ABC/LWV hosted a talk on April 29 by Laura Dresser titled “What’s Going on for Working Wisconsin and What Can We Do?". Dresser, Associate Director of the UW-Madison Center on Wisconsin Strategy, presented an overview of key trends for working people in the state. 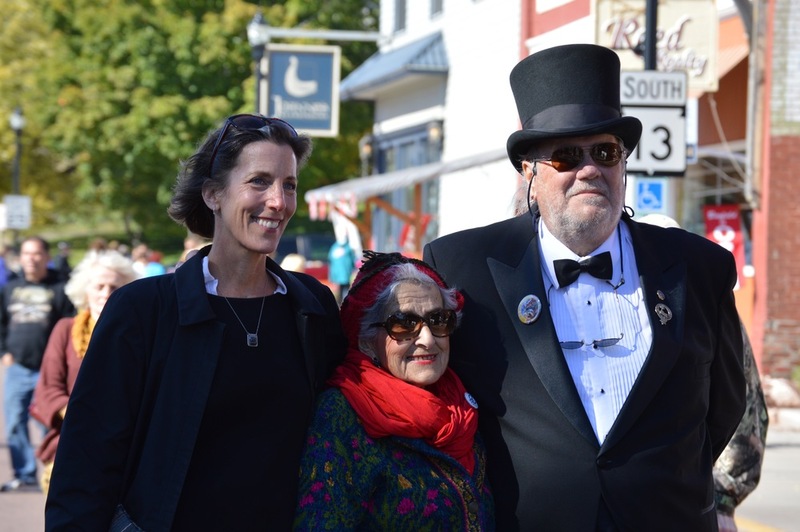 Drawing on her two decades of research on the Wisconsin economy and solutions to inequality and wage stagnation, Dresser offered data on wages, income, and poverty and provided some thoughts on how those are reshaping lives in our communities. Dresser also described some concrete steps that can be taken at the state and local level to help rebuild opportunity. The presentation was followed by a panel of local people with expertise in business and workforce issues. Couldn't make it? View the video of the presentation and the panel discussion below. Visit our Current Local Study page to learn more about the work we're doing. "The role of tribes in addressing environmental issues in Northern Wisconsin" was the main topic for Philomena Kebec during the League of Women Voters of Ashland and Bayfield Counties Annual Membership meeting at the Northern Great Lakes Visitor Center Wednesday evening. Approximately 55 people attended the event, which covered topics like the foundations of Indian Law, treaties and the problems of environmental law. 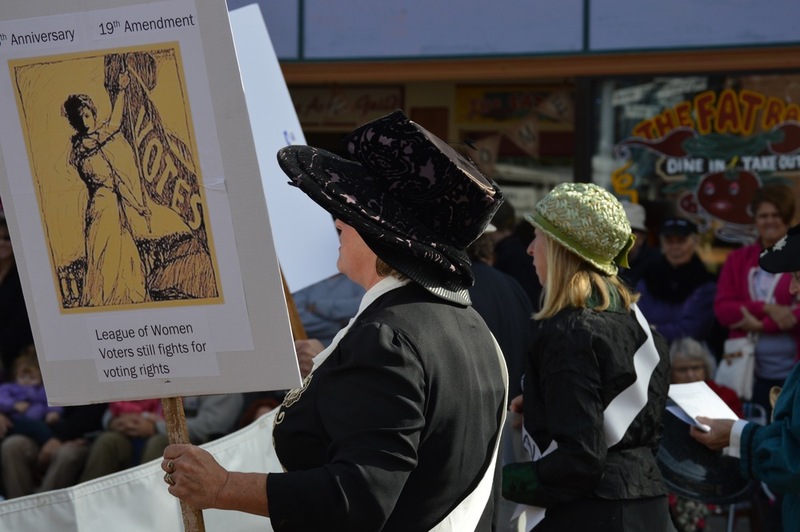 The Ashland Daily Press featured an article about Phoebe's talk. Click here to access the article. 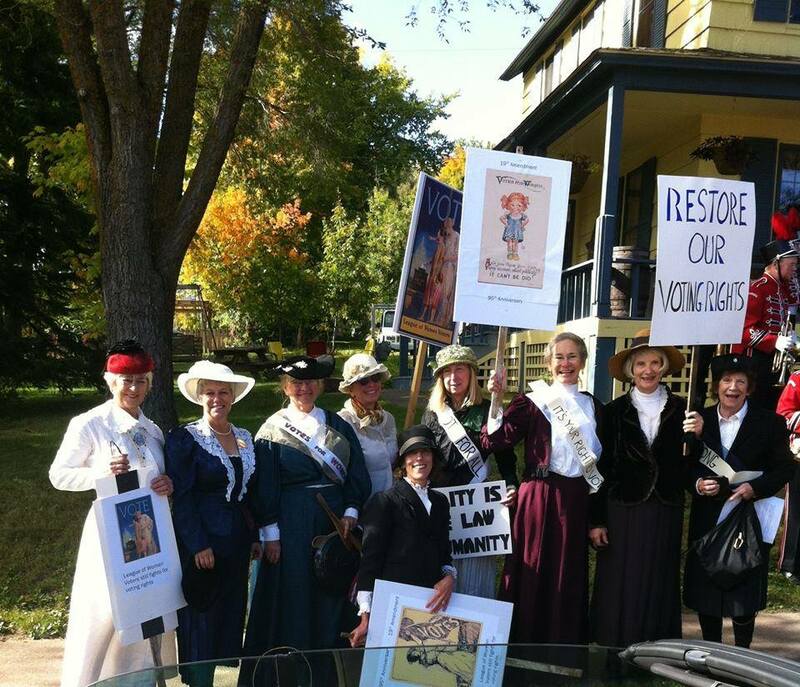 In celebration of the 95th Anniversary of the 19th Amendment, which gave women the right to vote, LWV/ABC members dressed up as Suffragettes for the Bayfield AppleFest Parade. 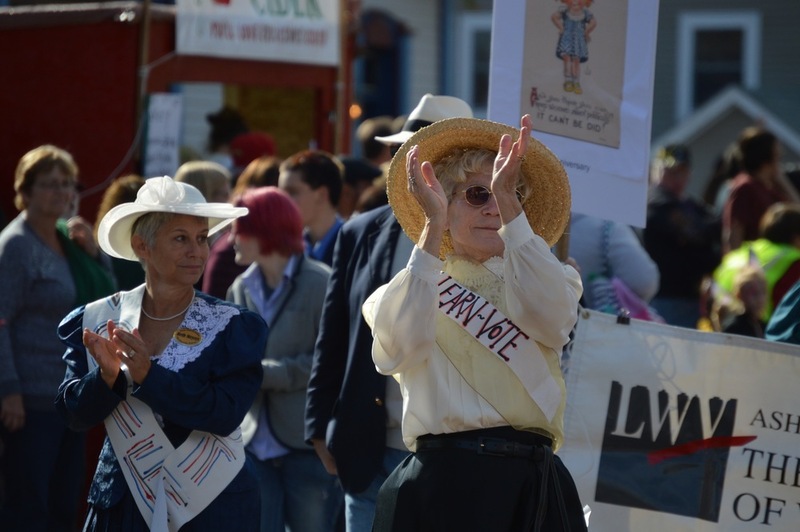 Lu Eckels, one of the founding members of LWV/ABC, was the grande dame of our entry. 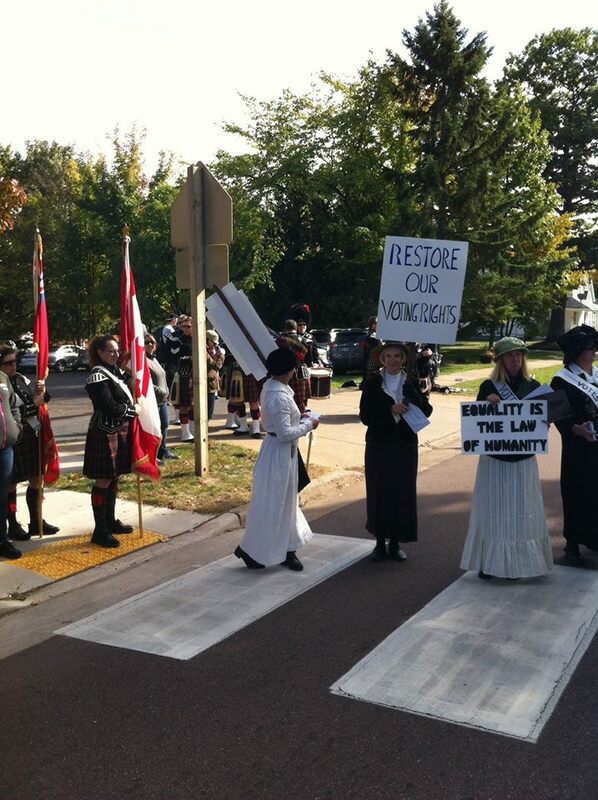 We were honored to have Senator Janet Bewley, Representative Beth Meyers and Judge Gary Sherman join us in the march! 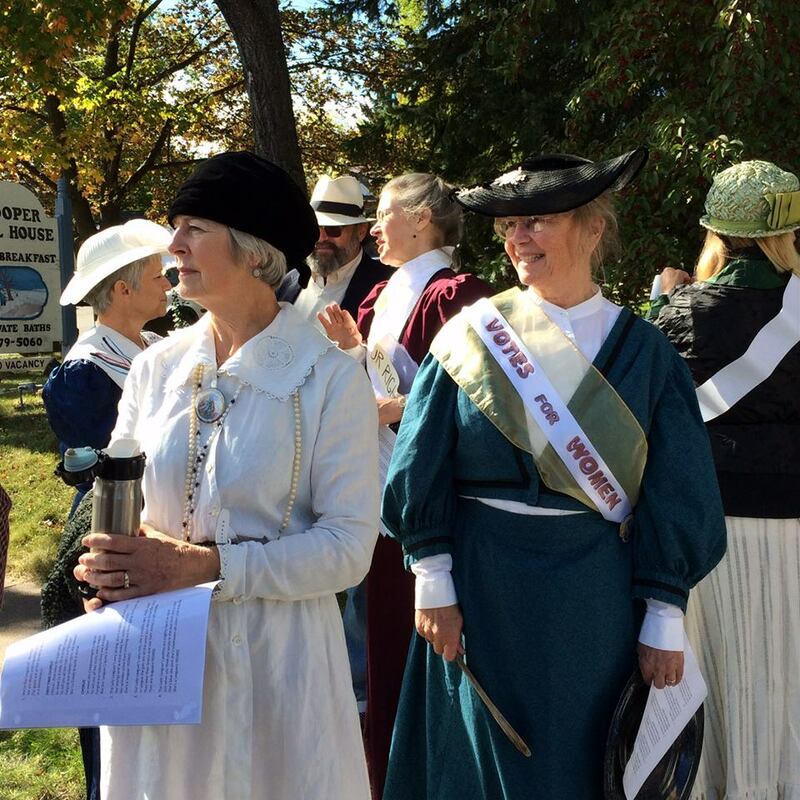 On Friday October 2, at the Opening Ceremony for Bayfield Applefest 2015, the League of Women Voters of Ashland & Bayfield Counties received a wonderful proclamation from Bayfield mayor Larry MacDonald. 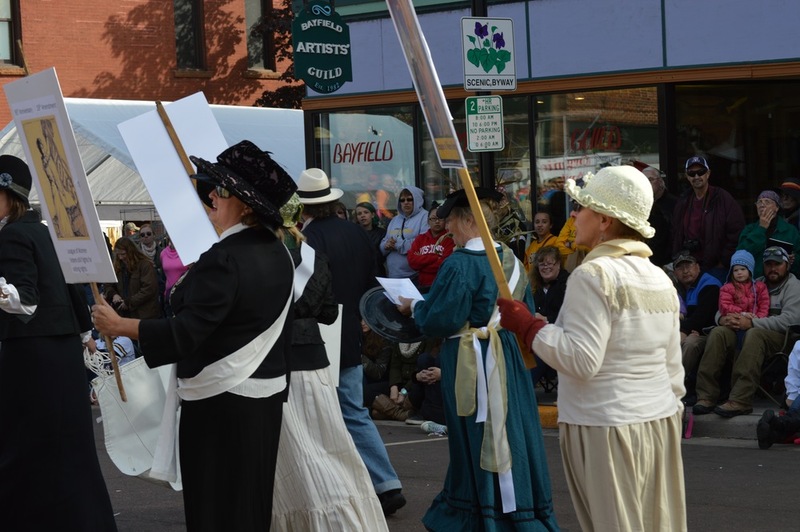 The proclamation highlighted our Applefest parade entry celebrating the 95th anniversary of the 19th Amendment, which gave women the right to vote, and honored LWV/ABC for the work of the league in making democracy work here in Northern Wisconsin. 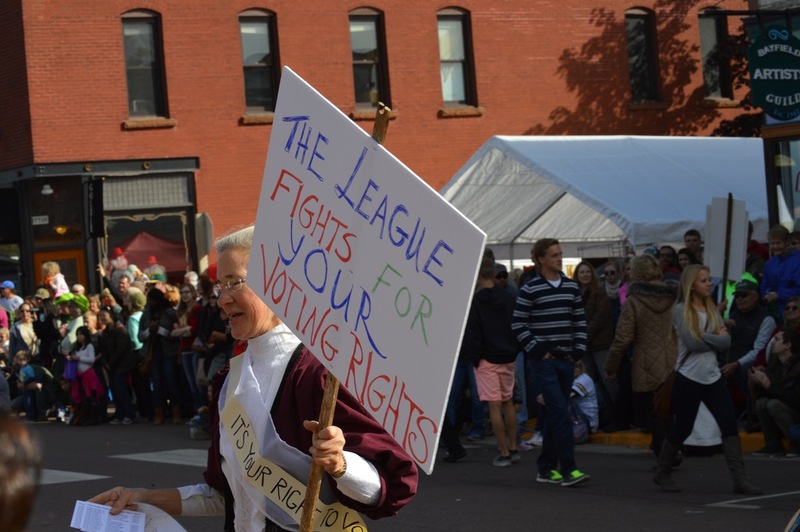 Lu Eckels, a founding member of LWV/ABC, accepted the award. 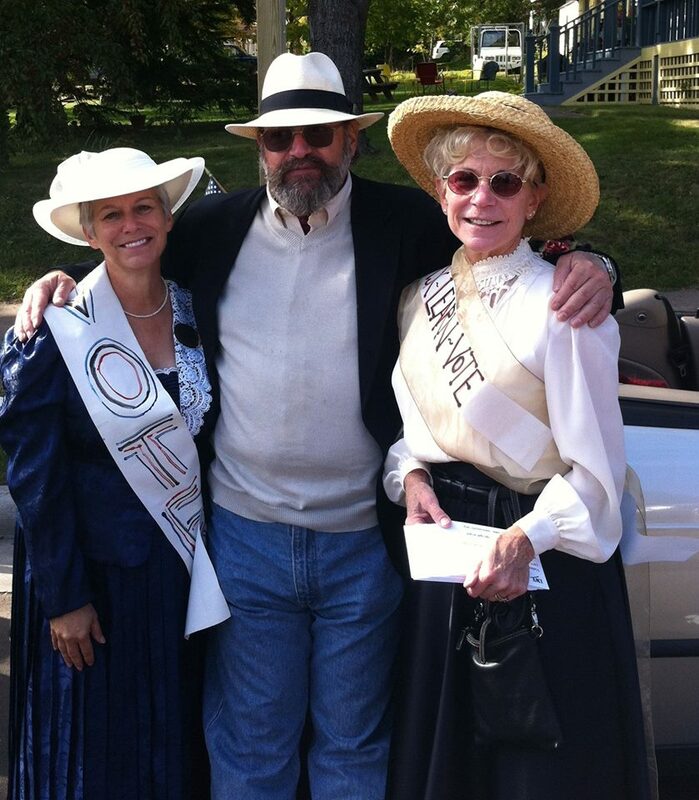 She was accompanied by her daughter Dede Eckels and Madelaine Herder, LWV/ABC president. 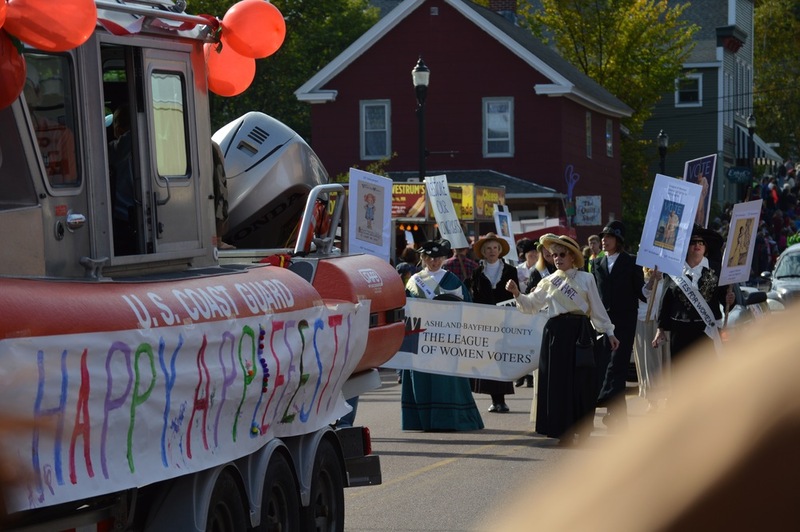 How wonderful to carry on the tradition begun by women like Lu and others, who founded our local league so many years ago! View a video of the presentation below.